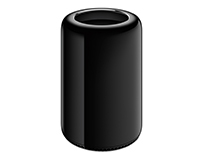 The Mac Pro is not cheap to buy. HardSoft delivers an Apple leasing solution to make it fit your budget. 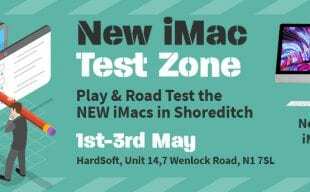 The new Apple Mac Pro is now available with HardSoft leasing at £20.30 per week on a flexible business lease that includes 3 years warranty. Built around an innovative thermal core, the Apple Mac Pro features the latest E5 Xeon CPU’s with 6 Core, 8 Core and 12 Core options, dual AMD FirePro Workstation graphics processors ranging from the respectable dual 3GB options to the market-leading dial 6GB, six Thunderbolt 2 ports and PCIe flash storage. Flexibility is integral with HardSoft leasing as you can cancel after just 2 years or choose to renew a new lease and keep the original Mac Pro whilst maintaining a similar payment. HardSoft is fully Apple Authorised and has been trading for over 25 years. 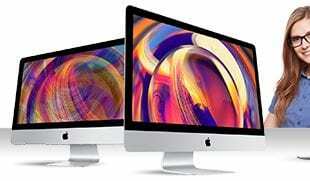 Leasing a new Mac Pro is quick to arrange and the rates are the same for both new and established businesses. We are a finance authority as well as IT expert so a one-stop shop for all of your leasing needs. This helps to keep our prices low, by cutting out the middleman. Speak to one of our helpful sales team on 0207 111 1643 or in the live chat box on the bottom right to discuss your needs. We can tailor make a quote to fit in with all of your IT needs including software. HardSoft have been trading for over 30 years. As a specialist in IT and a finance authority, our unique Apple Mac Pro leases have been tailor made for businesses. Cutting out the middle man, we are a one stop shop solution! This makes our Apple leases not only affordable but so so easy! Apple Mac Pro leasing is 100% tax efficient, unlike bank loans our rates are low and there are no large arrangement fees. There are no hidden costs with Apple leasing, you can see all of our transparent pricing above to give you piece of mind. The HardSoft Apple Mac Pro lease offer so much more than just your device. Our technical team are on hand thought the duration of your Apple lease with unlimited telephone technical support and remote log ins. The team are trained to a very high standard with Apple certification. The HardSoft 3 year no quibble warranty means that any faulty machines will be collected, repaired and returned in a timely manner. You can also take advantage of our bank of loan machines to keep your business running smoothly.